Captain Canada is the pride of a nation, he is also one of only 11 players to win multiple NBA MVP awards. 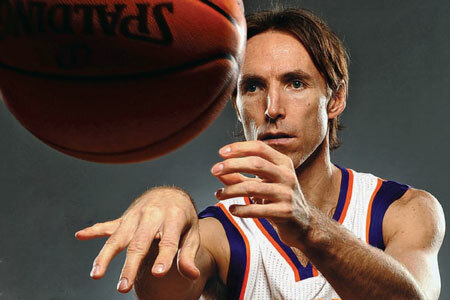 Whether you believe he deserved them or not, Steve Nash has two, yes two MVP awards on his mantle. Nash is also a member of the illustrious 50-40-90 club, contributing four separate seasons to the club, Nash currently stands in as club president. 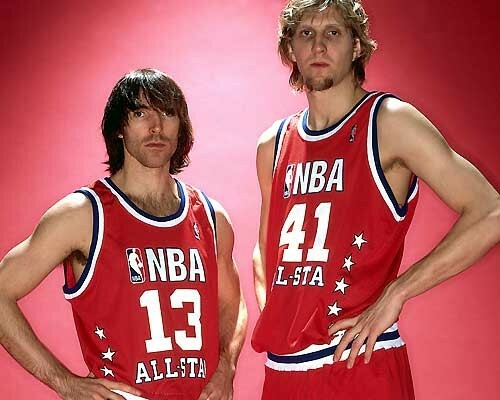 A killer shooter, with previously unheard of efficiency, Nash took his job of floor general seriously. Nash led the league in assists per game five times, he finished his career third all time in assists. A bad back, Robert Horry, Amar’e Stoudemire being injury prone, you can take your pick but all contributed to Nash calling it a career without the elusive ring. When feeling blue about Nash retiring without a Championship remember that fellow Pacific Division stars Shaq and Kobe each retired with one MVP trophy. The Flag Bearer: Matt Drappel (18). The Barn Burner: Robert Littal, Lang Greene, and Adi Joseph (NR). How did the other guys rank Nash: Justin Rowan (25), Justin Salkin (25), Marc Griffin (27), Josh Eberley (32), Shane Young (32), Jacob Noble (35), Justin Termine (40), Will Reeve (40), Brian Geltzeiler (41), and James Holas (49).